THERE IS a world of magical people who cast elements from their hands. In this world, there is a race of warriors with acid for blood. There are psychics, too. And opera-singing walls, giant glowing mushrooms, and lullaby-singing trees only deaf children can hear. It's been named the Shifter World. LILLIAN CART CI is drawn away from her small Maine town, yanked into this world of bizarre things to train for a war she's only just learned about. Butterfly-obsessed and witty, she learns there's more to her missing parents and strange older cousin than meets the eye. The psychics call her space-thief, and the stars laugh at her -- until she steals from them. ELEVEN BEASTS explode to life in this world. They fall from the sky, rise from terra and conquer oceans, created by the hands of a vengeful man. Terror rips through the war-torn Shifter World, and the beasts destroy everything in their path. The beasts are after something. 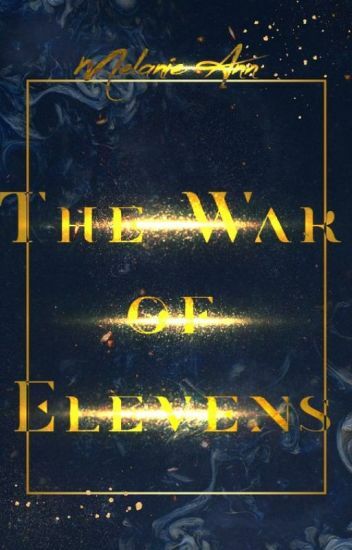 It's the beginning of a new war, magical and deadly and eccentric. THIS is the start of a story about a space thief and a storm-creator and a world of magical whimsy, and how they started an apocalypse. The last thing you'd imagine earth's savior having is an identity crisis, let alone in the middle of an interstellar war, but for Avalyn Concerto she begs to differ. Ever since the last battle against primordial--earth's immortal alien foe--Ava has been living in a constant nightmare. For she will never forget how heavy the sword felt in her palm and how her abilities took over. She will never forget the moment she killed her best friend--the moment before she lost control. Out of desperation, Ava ventures off into the demon-infested world in search of her missing birth record. And she will do whatever it takes to find it--to fix herself--even if that means breaking the laws and committing treasonous acts. But once Ava is caught, she quickly finds out it will take more than thievery and violence to stitch herself back together. It will require dark magic. A pair of alien princes. A pompous man whose hair is as white as snow. A blue god's threat. And the perfect stage set for secrets to unfold. © 2016 hcwilhelm. All Rights Reserved. UN Real Paine - Book two of the Paine Saga. The plague that destroyed billions of people is over, but a more insidious plot is hatched, one that threatens the privacy of everyone on the planet. Unaware of the new threat, Michael Paine Martin joins the United Nations Military Force and is sent on a mission to stop a potential war between Serbian guerrillas and the rest of Europe. Then things begin to go wrong. Steven Corvis, founder and CEO of the Corvis Foundation, attempts to set up control over the world. He enlists the aid of the sinister and vengeful General Josh Martin, Paine's father. Josh works with Corvis to discredit the United Nations and destroy the recently established government of New York. Personal and political intrigue abounds in this fight between two conflicting ideas of the future of Earth - and who will ultimately rule. Maya and Dominic are a young, happily-married couple. With successful careers, and a beautiful house in an upscale community, they seem to be living the dream. Funny thing about dreams, though -- they have this way of ending abruptly...just when everything seems perfect. This is a peer-review community designed to help expose your novel to the greater Wattpad community. Whether you just joined Wattpad or have been an active member for years, the sole purpose of this community is to assist in the recognition of your book. Coming soon to Amazon! Sample chapters here. Maybe she's just stressed. After all, she has to come up with the best sculpture she's ever created EVER ...or she won't graduate. Her mom is hassling her. The class diva is trying to bully her (like they're still in high school. Sniff.) Her twin sister is in a coma. And to top it all off, her best friend Peter wants to be more than friends. It's enough to make anyone sleepwalk. Prince Trystan of Pelegor risks capture and mind control to obtain a forbidden enchanted lute through a shadow network. Far to the north, the luthier-wizard Dane meets a sinister stranger. He barely escapes with his life. Dane's fate entwines with Trystan's. Both must follow the true Song with the help of an ethereal guide they only know as Sara if they hope to escape the evil Conclave and free their world from Dissonance. If The Darwath Trilogy by Barbara Hambly and The Name of the Wind by Patrick Rothfuss had a weird love child raised by Terry Pratchett, you'd have this book. Chapter headings by @FayLane who is the bestest. HISTORICAL FANTASY: Sarah Thompson's naturally outspoken opinions and lack of interest in the church have pinned her as an outcast and nuisance in one of the largest colonies in 17th century Massachusetts, making her family want to be rid of her as soon as possible. And with every day that passes, Sarah realizes her dreams always become reality. Forced to marry a man she does not know, while her father becomes even more violent as he sees Sarah continually discredit the church's teachings, Fate moves Sarah toward the only person that can help her: a man named Red Fox from the Pocomtuc tribe, who can help her escape. But first, they need to accept their Fate in a world full of danger and war. High King Tenneth is dead. The Conclave seeks control of the throne and war with Pelegor. The Shadowborn wreak havoc across the Weldes. Dissonance continues to rise, hastening  the Last Day, the end of all things. Danethor Whitley sets out on a desperate quest to gather the pieces of the Lorica and restore the Song with the help of his mentor, Theo and his ethereal guide, Sara, before it is too late. Spoiler alert! First draft chapters from the sequel to Sorrowfish. Enjoy. Zara Mahal, a girl adrift from her motherland, a virtual exile amongst strangers, was no dreamer. She saw the ugliness in the world with clear eyes, heard it's screams and cries with open ears. She knew, and yet she dared to imagine a new life...but when is it that the past leaves you behind? When is it that the hungry demons from yesterday bid you adieu with a fare-thee-well? It doesn't happen, not today, not here, and most certainly not with her. She's being chased, by the demons within and the demons without...and she sees no way through. Yet...her snarky, rude, more-amicable-dead-than-alive boss seems to know something. Something he won't tell her about. Something that threatens to rock her world and throw her to the ground till her bones break and her head splits. No, I tell you...Zara Mahal knows the tears behind a happy life. But when her friend gets killed, and she's thrown into a whirlpool of shadowed faces and pulsing darkness, only Alexander Rodwell seems to know how to pull her out. He's the one pushing her in. P.S. the amazing cover is made by @mebekamil... go ahead and check out the rest of her works! For the first time since the Battle of Endor, the Ewoks have invited the Republic back to their tiny moon to celebrate Independence Day. Much of the Republic delight at the chance to visit this proscribed location that was the turning point in the Rebellion. The Ewoks have sent missives across the galaxy to all tribal members. Reuniting the wayward tribe proves difficult: Luke's wife Naluma is about to deliver their first child, Han and Chewie are on a "trading mission" for dubious clients, and Leia is protecting a young girl from a great evil in the galaxy. The youngest member of the tribe, Ben Solo, struggles with his parents' separation, the injuries sustained on a training mission months earlier, and the burgeoning darkness within him. But a Force-ghost has been manipulating the proceedings, bringing his family together once again on Endor. Is he in time to save his lost grandson? AU Star Wars story sixteen years after Return of the Jedi. I do not own Disney or Lucasfilm. The characters Princess Leia, Han Solo, Chewbacca, C-3PO, R2-D2, Anakin Skywalker, Luke Skywalker, Ben Solo, Rey, all the creatures, and Endor are the property of Disney/Lucasfilm. I make no money from this work. Naluma and everyone else and the Jedi Academy on Khalkha are mine.